Apple's profits fall as iPhone sales continue to drop | What Hi-Fi? Apple has posted its financial results for the third quarter of 2016 and they show a second successive decline in revenue and profits. The most likely reason? A continued drop in iPhone sales. Apple’s third quarter revenue was $42.4 billion, an impressive figure, but revenue for the same quarter in 2015 was $49.6 billion. Profits for the same period fell from $10.7 billion in 2015 to $7.8 billion in 2016. One of the major factors to blame for the drop in revenue is iPhone sales. Apple sold 40.4 million units in Q3 2016, compared to 47.5 million in the same period of 2015. An initial justification could be that customers are holding out for the new iPhone 7 launch in September, but according to the Financial Times, industry analysts are expecting little to no growth for the next few quarters. Despite the decline in revenue and sales, Apple CEO Tim Cook was “pleased to report third quarter results that reflect stronger customer demand and business performance than we anticipated”. 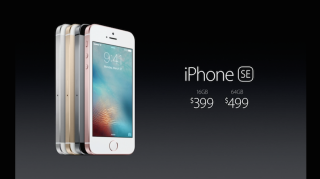 He said the iPhone SE had a successful launch and the company’s services business grew 19 percent year-on-year. Following the financial results, Apple’s share prices rose to over $100 per share because Tim Cook told investors the company is investing in different areas. These include further investment in the Carplay in-car entertainment system and Apple TV, as well as virtual and augmented reality. Apple’s research and development fund increased 26 percent to $2.6 billion in Q3. It’s also been reported that Apple has secured rights to the Carpool Karaoke segment of The Late Late Show with James Corden in the USA that sees James Corden driving around with a celebrity guest and singing songs. It will be exclusive video content for Apple Music subscribers but the show won’t be presented by James Corden, instead he’ll be brought in as an executive producer.